As for responding to special needs of containing jasmine oil, we provide this creative round and large tube box that is in the shape of half body and half lid, as to facilitate the usage of jasmine oil inside. 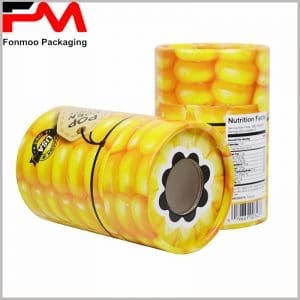 Made by 250g cardboard, the surface of this tube packaging box is decorated by 70g chrome paper, such composition is simple but classic, with neutral single color that shows the purity of goods inside. This box can be used for jasmine oil, plant essential oil or other cosmetic creams that people would take with finger for everyday use. As for printing, there is nothing special but artificial fonts printed by hot silver stamping process. On the lid, there is a silk pull tab helping to easily open the box. Professional manufacturer as we are during many years, our experience and competence can be of your service to any customization needs. Just get contact and tell us what you want to have, then we will provide your very own creative round tube packaging box for cosmetic oils and creams with good price.